12 Christmas Fun Tattoos. Easy to apply and remove and popular with children. 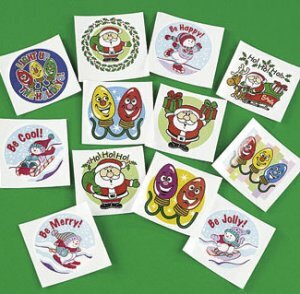 These tattoos make great little extra gifts.